Ireland in early times showed itself to be very much a relatively small sea island with lots of other islands around it and within it; it was also very rural and tribal. This made it very accessible, and ideal for the growth of monastic life. 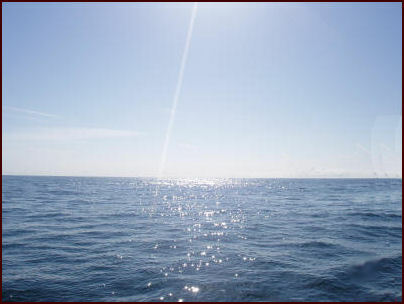 The sea was the main highway from Western Europe to Scotland and put Ireland in the very centre of it. How St Patrick came to Ireland is set forth for us in us in his ‘Confessio’ and also in his ’Letter to Coroticus. To have such personal written sources is an immense blessing – even though not all our own questions will be answered. In Ireland everyone loves St Patrick. Historians try to cut him down to size by saying he only worked in Ulster, not all over Ireland. Traditions say he went to many places. There is nothing to say he didn’t. The traditions mean everything to the Irish; they will last a lot longer than the historians. In his own words, ‘I journeyed among you, and everywhere, for your sake, often in danger, even to the outermost parts beyond which there is nothing, places where no one had ever arrived to baptise or ordain clergy or confirm the people’ (Confessio, 51). St Patrick had thirty years to wander; you can cover an awful lot of Ireland in thirty years. The sea entrance to Strangford Lough is as good an entry point as any into Ireland. It leads to Saul, Struell Wells and Downpatrick. St Patrick, having once been a captive slave, returned, sailing from Britain with his companions sometime in 5C; whether in the middle or at the end of the 5C is much debated. Perhaps after sailing up the Eastern coast he turned into the shelter of Strangford Lough. He went up the river Quoile and found a little creek in which to moor his boat. On the hill above is Saul, a place given its name from the barn (‘saul’), given to St Patrick by his first convert, Dichu. A monastery was founded on this hill. 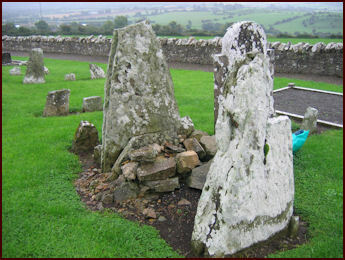 A 7C cross slab stands in the graveyard. There is also an intriguing little mortuary house. Whose bones were held here? Saintly men no doubt? Two miles down the road is Struell Wells. 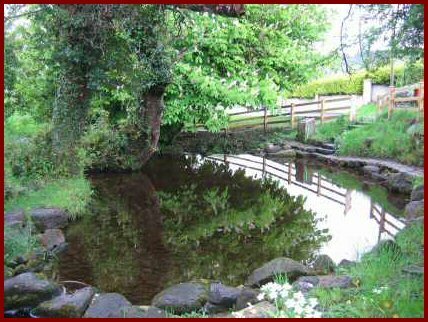 If St Patrick came to Saul he would soon have come to this ancient site which now has four wells, two for healing, two for bathing and immersion, one each for men and women. Thousands used to flock here. It is still a place of fascination. 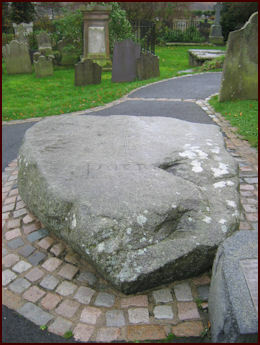 There are plenty of tales about St Patrick’s grave. 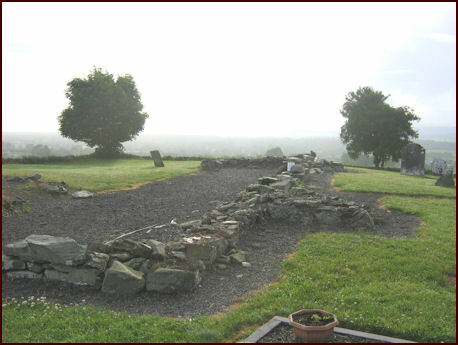 At Downpatrick not far away, a large stone was placed, not so long ago, over the place where it was believed not only St Patrick’s relics, but those of St Brigid and St Columba were interred in the 12C when the Normans came to show they had them all. Putting the stone here in 1900 was necessary to stop pilgrims taking ‘holy’ soil from such a sacred spot. 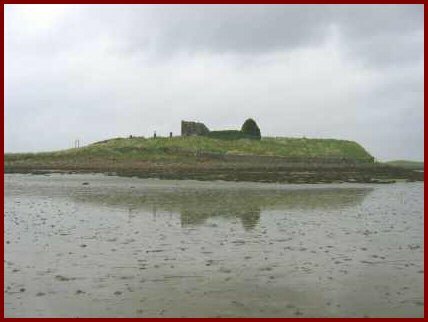 One of the places that St Patrick may have founded is Killaspugbrone, a little tidal island off the west coast of Co Sligo, where he made St Bron a bishop. I love this place. Wild and wet, so typical of Ireland. It stirs the imagination. 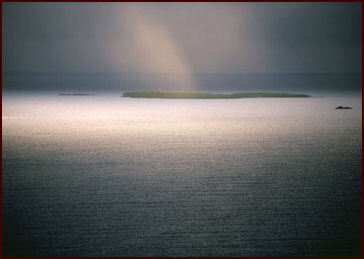 What would it be like to have lived on this little island? 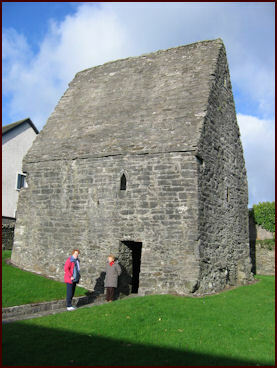 On the way to Sligo is St Patrick’s church and holy well at Holywell, Belcoo, Co Fermanagh. The holy well chugs out an incredible 600 gallons per minute and forms a most beautiful pool. This is another ancient site -. and surely well within St Patrick’s reach. The well is beautifully kept and still in use. A little book tells you how to say the traditional round of prayers. 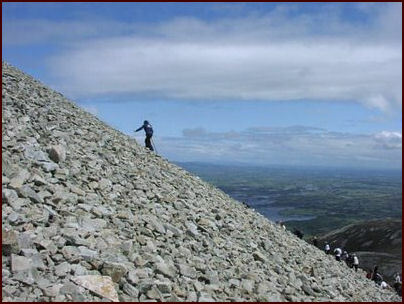 St Patrick is also associated with the sacred mountain Croagh Patrick in Co Mayo. Thousands and thousands of pilgrims come to this mountain every year Though hardy grannies as well as children climb it, it is no walk-over. The last 500 metres of scree can be virtual hell in driving wind and pouring rain. With its brooding presence it dominates the whole sea and land for miles around from every angle. It is the centre of a truly sacred landscape. St Palladius was a bishop in Gaul sent to Ireland by the Pope about 431. Clearly there were already Christians in Ireland, probably in the Wicklow area. He would have seen everything was in order; it is likely he would also have ordained bishops to add to any already there. 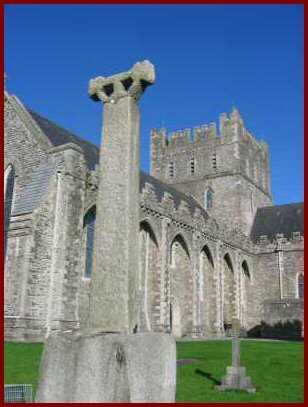 St Sechnal, St Auxilius and St Iserninus (possibly a Briton) may have been bishops who accompanied Palladius to Ireland, or they may have been those made bishops by him. 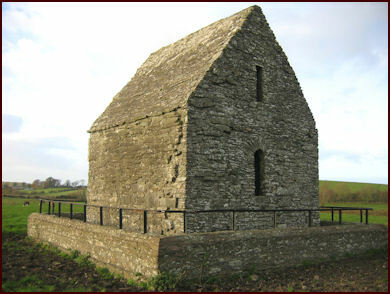 They may have founded churches in Meath, at Old Kilcullen (Co Kildare) and Carlow. There were several itinerant evangelists in the south before St Patrick: St Ciaran of Saighir (458) in Co Offaly, St Ailbe (5C) of Emly in Co Tipperary, St Abban (5C) of Adamstown and St Ibar (5C) of Begerin, both in Co Wexford. 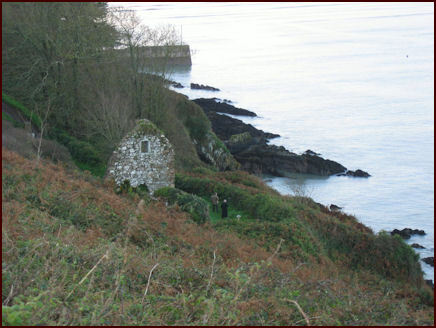 The most important among them was St Declan (5C) who became a hermit at Ardmore Co Waterford by the sea. He was related to the Irish settlers in Wales. He may have learnt the monastic life there. St Dubhan (5C) was another hermit from Wales who kept a fire going to act as a lighthouse for visitors from across the water. S Patrick may have gone to Donegal, Mayo, Galway, Limerick and Tipperary. He ordained St Benan who may have evangelised Mayo, Galway and Kerry. These areas are not those attributed to the other early bishops and evangelists. 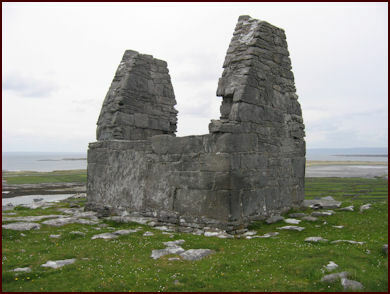 St Buite (523) and St Mochta (537) were disciples of St Patrick. St Buite is said to have studied under St Teilo of Wales He founded the monastery at Monasterboice (Co Louth). St Mochta was the first bishop of Louth. The tiny 11C church there is still intact. It is said to have been built in a night by the fairies – faith optional on this one. St Patrick’s church was a church of bishops. 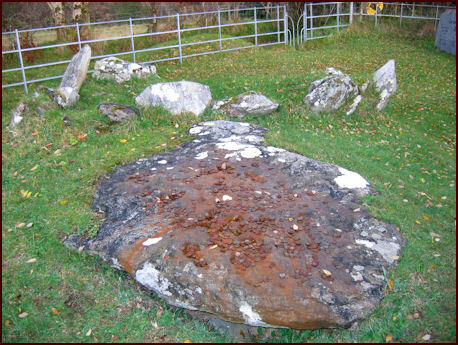 Besides Bron (511) at Killaspugbrone, there was St Muirdach (5C) of Killala also in Co Mayo, St Mel (485) at Ardagh Co Offaly, St McCarten (506) at Clogher Co Tyrone, St Olcan (5C) of Armoy Co Antrim, St Fiacc (5C) of Sleaty Co Laois, St Colman (5C) of Dromore Co Down, St Maccaile (5C) of Croghan Hill Co Offaly and St Erc (5C) at Slane Co Meath. St Tassoch (470) is an interesting person. He was a priest and possibly a bishop. He had a church 2 miles down the road from Saul at Raholp. He is said to have anointed St Patrick on his deathbed. But he also spent 7 years in prayer on the island of Rathlin O’Byrne off Donegal, just a sea trip via the north away from Raholp. In Ireland, with no cities or civil administration, the church had to adapt to the tribal nature of society. Monastic life quickly became the instrument to do this. It was flexible and adaptable. 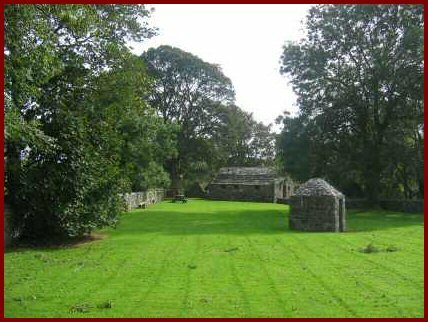 The monastery could organise itself in such a way, on the land given to it , that it could be a focus of gospel values and Christian worship even though tribal leaders retained ownership of the land and even appointed abbots. Bishops had no land and had nowhere to go and so they often resided in the monastery without losing ministry or respect. This arrangement fitted in with the social context and suited everybody. 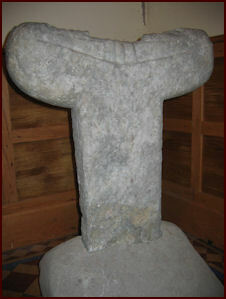 The symbol of monastic authority was the Tau Cross. Only one or two are left in Ireland. This one is at Kilvoydan Co Clare. There were also women: St Bronagh (5C) at Rostrevor, St Monnina (517), St Arraght (5C) of Killarraght,St Ita (501) of Killeedy and St Gobnet (5C) of Ballyvourney. St Brigit (524) became second only to St Patrick in fame. She founded a double monastery one for women, one of men over which she had authority but with St Conleth to assist her. It is said in the Book of Armagh that ‘Between Patrick and Brigid, the columns of the Irish, there was so great a friendship of charity that they had but one heart and one mind’. 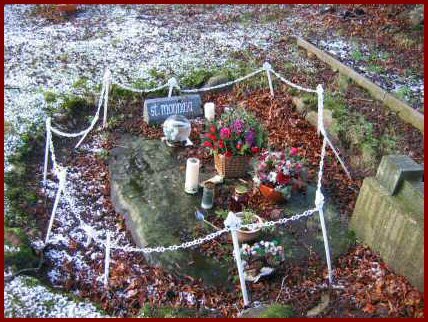 St Brigid and St Conleth after their death had sumptuous tombs either side of the later at Kildare. St Columba (Colmcille), alongside St Patrick and St Brigid, makes up the third of the great intercessors for Ireland. He is said to have been born at Lucknakoo near Garten in Co Donegal. 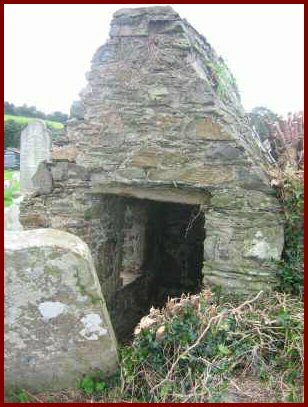 At Kells in Co Meath is St Columba’s ‘house’ or resting place, still standing and largely intact. 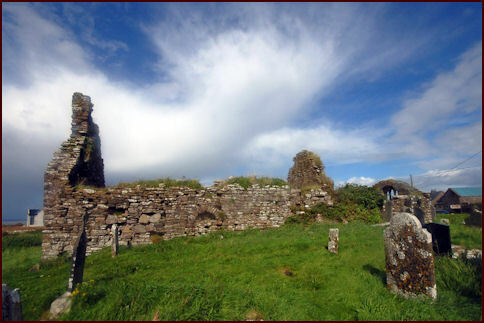 It was built for his relics when his monks returned from Iona due to the Danish invasions. Here also was kept the famous illuminated Gospel Book of Kells. One can still climb up into the roof up a long steep ladder to see where, one imagines, monks, St Columba’s relics and the Book of Kells were hidden in secret. Imagination or not, there is something extremely tangible about this place, as with so many places in Ireland.